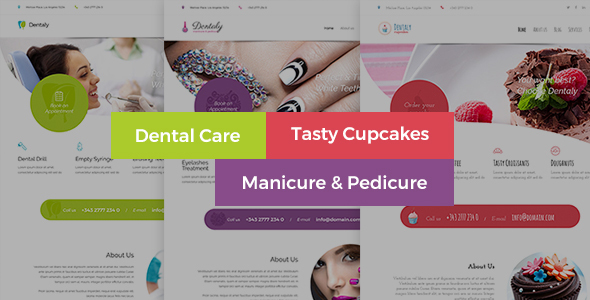 Dentaly is WordPress Theme for dental care, dentist or you can use it for nails, wellness, cupcakes, spa or anything you want. It is built with custom made shortcodes, revolution slider and visual composer. You can change colors to any you want. BE HAPPY, BE DENTALY!